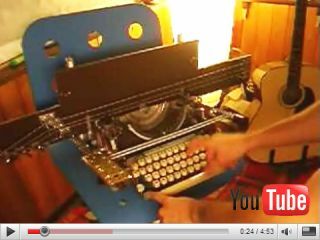 The noisiest typewriter of all time? Still bored? Watch this manualist's rendition of Bohemian Rhapsody from Jimmy Kimmel Live. That's a misspent youth right there.